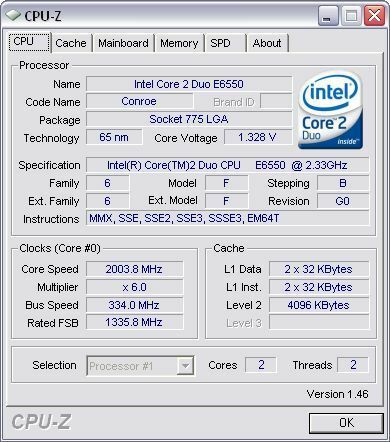 CPU-Z is a freeware tool that gathers information on some of the main devices of your system. It can gather lots of different information from various different sources like CPU's, mainboards, memory and system. CPU-Z does not need to be installed. Just unzip the files in a directory and run the .exe. In order to remove the program, just delete the files, and that's it.